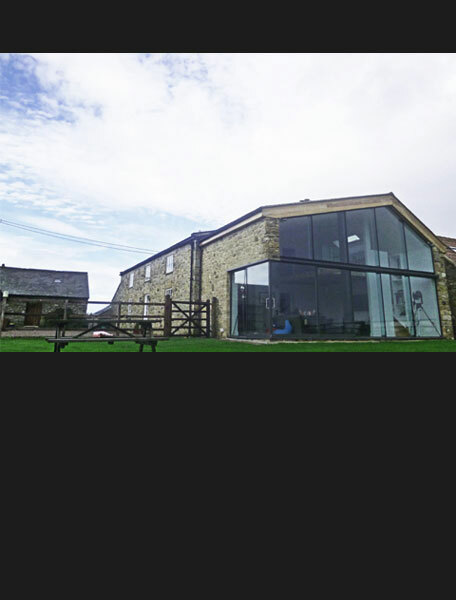 An extension to an old farmhouse to accommodate a new large family and entertaining room. 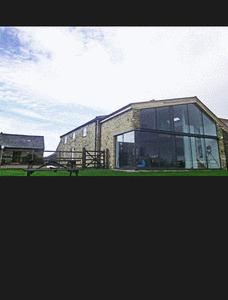 The elevated location and views from this building are unique. 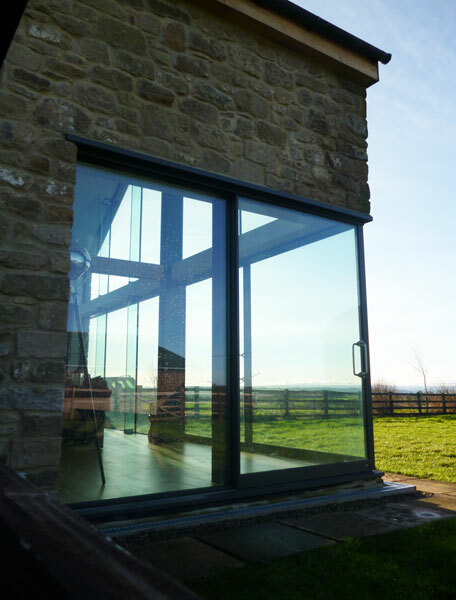 The existing house presented a nearly solid gable to the best aspect of the site therefore the new addition was designed to maximise the impressive views across the Tyne valley. 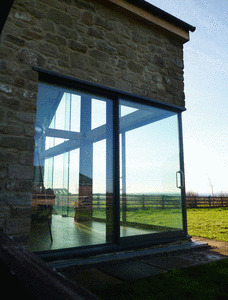 A stone built extrusion of the main house formed the double height volume and an entirely glazed gable with unobstructed opening corner doors allow the landscape a direct connection with the internal space. An oak mezzanine with exposed joists sits like a piece of furniture within the main space giving a more intimate seating area beneath whilst the discrete position of the stair leads to the clients private office above.